MANILA, Philippines - Do you ever wonder how valuable things securely put inside your baggage magically disappear at Ninoy Aquino International Airport (NAIA)? Apparently, handlers of check-in-baggage are behind this modus operandi. In Inquirer’s exclusive interview with an airline security expert who refused to be named, it was revealed that baggage loaders who work for various airlines at the NAIA are allegedly responsible for such crimes. 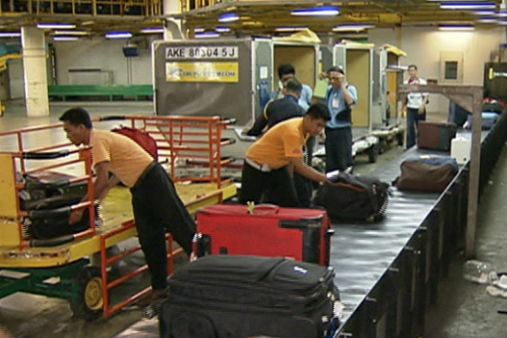 The source said that “magic” occurs at the NAIA baggage buildup or breakdown while luggages are kept and sorted before loading or unloading from the aircraft. According to the source, they make sure baggage handlers don’t have any pointed object specially ballpens with them as these materials can be used to create a gap between the teeth of a baggage zipper allowing them to get things using their hand. Later on, they can easily fix the zipper like nothing happened. The source added that these pilferers can make the bag’s zipper appear damaged giving them an excuse to set it aside and steal from later on. Unbelievably, there are also baggage handlers who are capable of determining if there’s a valuable item inside the luggage by simply touching them. These people are the so-called persons with “ X-ray hands”. “People who know that a piece of luggage contains valuables just by touching them,” the source told Inquirer. The source believes that people with X-ray hands are able to master the particular skill through their years of experience. “Maybe it’s through years of experience that they’ve (mastered this skill), but it’s still a mystery to us how they do it,” the source added. Another strategy that pilferers use is the so-called “moonlighting” that occurs at night. This technique involves cargo loaders of one airline crossing over to a neighbouring airline at the airport baggage breakdown or buildup area. They volunteer to help so they can steal without being identified. The old-style distraction, in which the baggage loader calls the attention of authorities to check a damaged luggage, is still used to pilfer. While doing so, a cohort quickly steals from another luggage they had set aside. The source said passengers should never put valuable items inside their check-in luggage to prevent pilferage. He also advised to take photos of damaged luggage to prevent pilferage as well as false passenger claims.